We catch up with the woman taking stories to where they're needed most. In 2016, Buhle Ngaba travelled to the English town of Stratford-upon-Avon to study at the Royal Shakespeare Company. 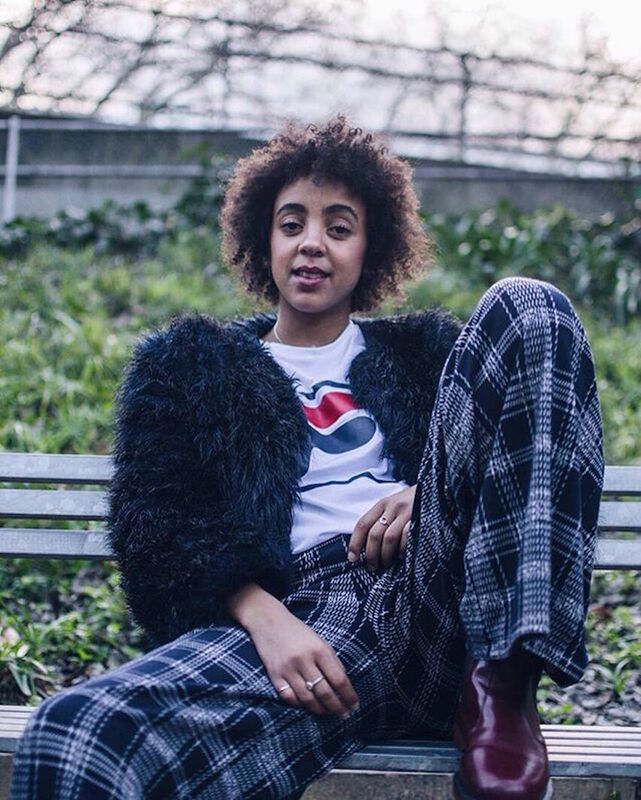 The young actress had been awarded the Brett Goldin Bursary – a fund established in memory of the slain South African actor, that sends two young artists to study at the major British theatre company every two years. When I sit down with Buhle in a bustling café in Cape Town, she tells me of her time there and how one day, when she was feeling particularly down, she went to the RSC building in search of a rehearsal space. Many were closed or already occupied but she eventually found a space in the attic. Over the previous few months she’d experienced a multitude of personal tragedies and, in that attic, she sat down, turned on her cellphone camera, and verbalised her feelings out loud. She then grabbed a piece of paper, wrote down the expression of her speech, and later performed it in front of the entire RSC. This raw monologue would ultimately become The Swan Song, Buhle’s one-woman theatre piece that won her two Kanna Theatre Awards. 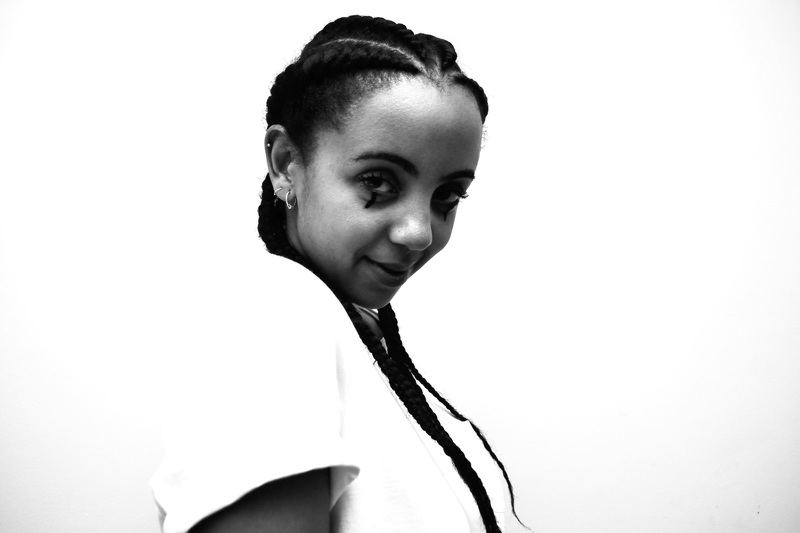 Described by playwright Nadia Davids as ‘an actress with a writer’s heart,’ Buhle has spent the past two years building an admirably accomplished theatre resume, all while tearing apart tired narratives as a writer and serving it back to her audience. Though she’s been steadily working since her graduation from Rhodes, it wasn’t until the release of her self-published book, The Girl Without a Sound, that she became recognised as the force that she is. 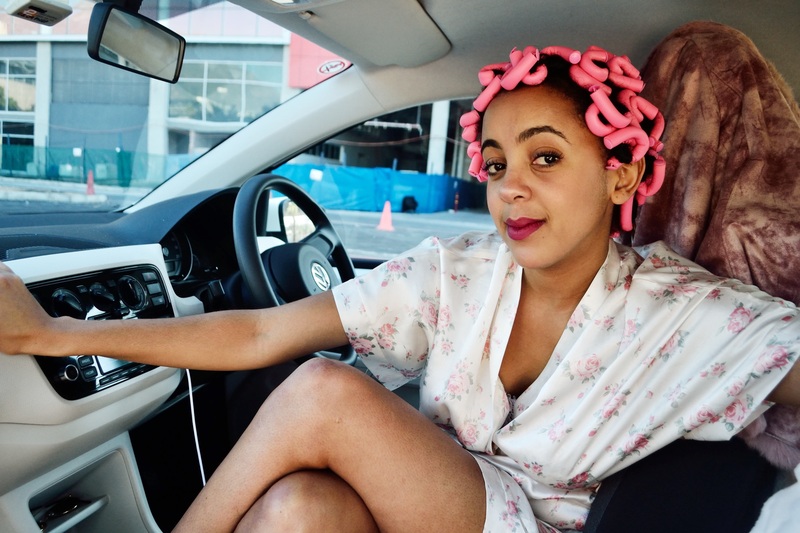 But before the success of the book and its ensuing movement, she was just Buhle – a drama student who had escaped the mundanity of suburban Cape Town for the unknowns of Grahamstown. She hadn’t told anyone that the UCKAR (University currently known as Rhodes) was the only place she had applied – “I’m nothing if not decisive” – and the small, relatively isolated location provided her the opportunity to completely open herself up. “You’re in this bizarre valley in the middle of South Africa that nobody really goes to. There’s something about being able to really tap into your creativity in that sort of environment,” she says. Part of what Buhle credits for her career trajectory is her knack for listening to herself. “I always tell people, it’s not that I’m special, I’m just very good at listening to the things that are for me and at following my own path. I feel like if your path is yours, at no point does it stop being yours.” Buhle’s path has been filled with serendipitous encounters. After a year with Ubom, what followed was a two season stint in David Kramer’s Blood Brothers. Then a call came from voice teacher Lesley Manim, of Johannesburg’s iconic Market Theatre for her to be part of John Kani upcoming play, Missing. “I had been doing some basic accent work with Lesley – she’s a voice teacher – and she said to them, ‘I just think you should see this girl if you haven't found anyone yet.’ Next thing, I walk into the Baxter and there’s Janice Honeyman and John Kani.” She performed a monologue for them, chatted for a little bit, and three hours later she got a call to say she’d landed the role. 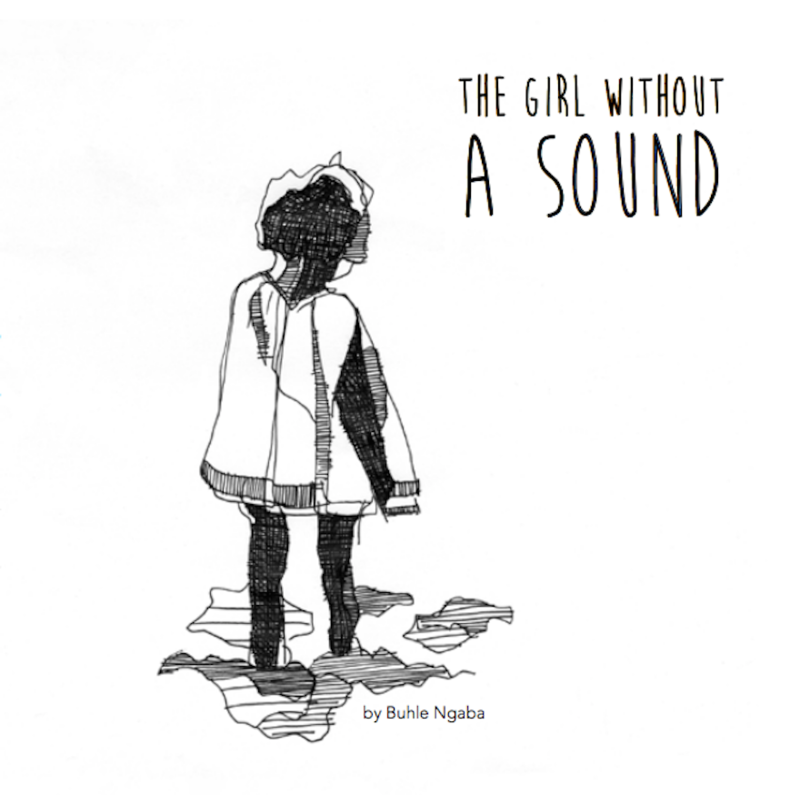 Though Buhle had already began to grapple with the complexities of black women’s representation in media, The Girl Without a Sound was born somewhat by accident. She was broke and had forgotten her aunt’s birthday and all she could think to give was what she was best at: a story. Armed with an exam pad and R50, she developed and wrote the story – which follows the journey of a young girl with no voice whose fantastical stories live in her eyes and is loosely based on her relationship with her aunt – printed it and then, just for fun, posted an image of it on social media with the hashtag #BooksForBlackGirls. The internet responded fast, inundating her with queries as to how they could purchase the book. Rather than tell them there was no book, Buhle decided she would make one,“The moment was so simple for me. I was just like, ‘Okay, let’s make a book!’ Maybe that’s my gift, that I don’t think about it as being that hard because I see things so simply”. Once she’d enlisted the help of some friends, they got to work. Three weeks later, they released the book as a free download and within minutes, Buhle was being bombarded with phone calls and messages. The official edition of the Girl Without a Sound had caused a surge in traffic to her website. 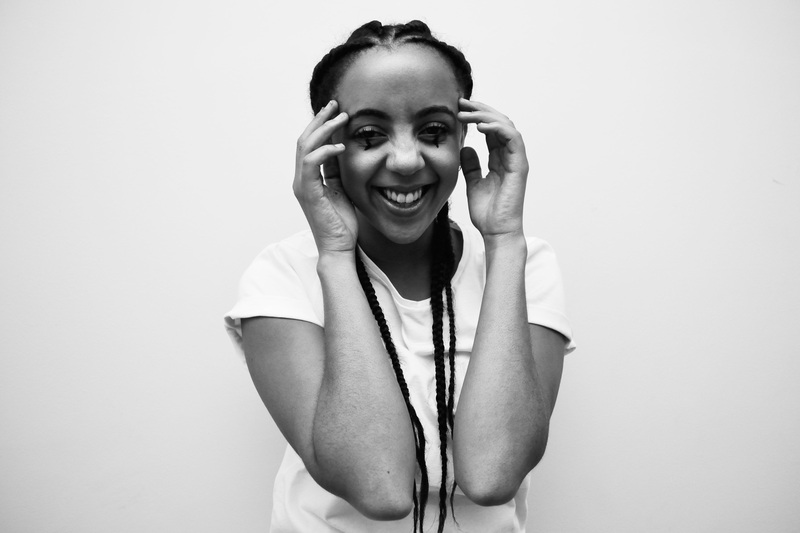 But in that moment, she also realised just how important stories that black girls could see themselves in were. Aside from taking The Girl Without a Sound to various schools, KaMatla Productions will also be launching a programme called Shakespeare Grounded. Aimed at high school students, the course seeks to demystify the plays of Shakespeare for learners who are often intimidated by the works. It aims to provide a real understanding of the texts and dispel the notion that it is any way solely for the elite. For Buhle, the time for black women to flourish is now. She finds validation in the growing number of diverse portrayals she sees of herself and of women like her. And where she doesn’t see them, she creates them. Every space she sees is a potential theatre, a potential movie set or contains a potential story. As long as the people can access it, for her, that’s really all that counts. Images by Neo Baepi, courtesy of Buhle Ngaba.